The Ruia family’s $7.4 bln offer to pull Essar Steel from bankruptcy is a brazen attempt to stop ArcelorMittal’s winning bid. Creditors will do better with the former owners, but it makes a mockery of a young insolvency code and undermines the fight against errant moguls. 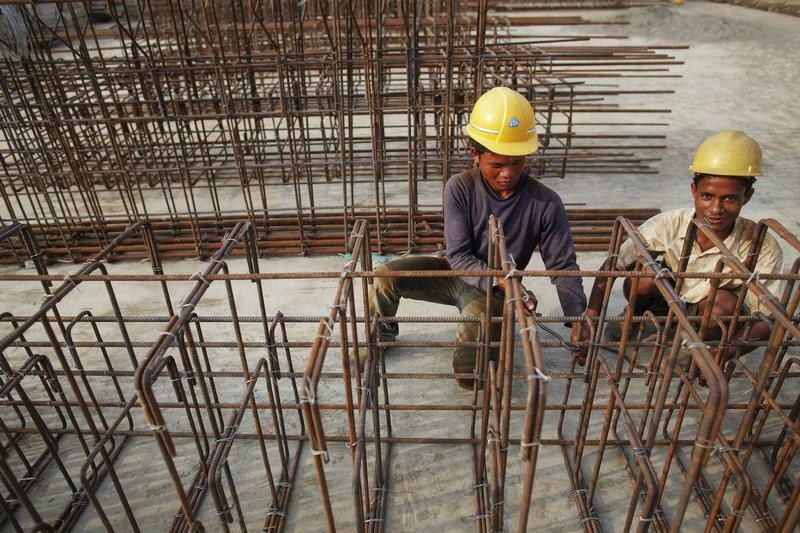 Local workers employed by Indian conglomerate Essar Group construct a new port in Sittwe May 19, 2012. In northwest Myanmar, where the Kaladan River flows out into the Bay of Bengal, the two giant arms of a half-built wharf enfold the estuarine mud with steel and concrete. Their embrace is fraternal -- Myanmar's giant neighbor India is funding this new port in Sittwe, the capital of Rakhine State -- but also strategic. To go with India seeks strong Myanmar ties as PM visits By Andrew R.C. Marshall. Picture taken May 19, 2012. Essar Steel on Oct. 25 offered to pay 544 billion rupees ($7.4 billion) to creditors to settle their claims and remove the company bankruptcy proceedings. The offer consists of an upfront cash payment of 475 billion rupees to all creditors, including almost 456 billion rupees to senior secured financial creditors that would recover 100 percent. The steelmaker, owned by the Ruia brothers, has made the bid under a June amendment to the insolvency and bankruptcy code passed in 2016. ArcelorMittal has said that amendment does not apply to Essar. On Oct. 19, the European steelmaker said it had been chosen as the highest and preferred bidder for Essar through the insolvency process. India's insolvency code bars owners and associates of defaulting firms from bidding for stressed assets. Essar was one of a group of companies that were pushed into the insolvency court last year, after a central bank order aimed at clearing bad loans in the banks.